Solarlands line-up of standard solar panels are available in a variety of sizes from the small SL-05, 5 watt panel to the powerful SL-140, 140 watt panel. Designed for a wide range of applications, we have found this product line useful to fill the gaps left by the many manufacturers who discontinued their small solar panel line in favor of the large solar panel market. 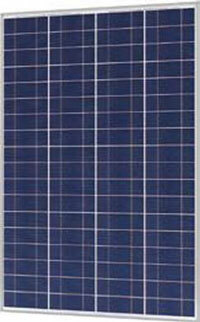 The new SL-070 "Skinny" panel is a 70 watt solar panel with a 13" wide format. This has proved to be a perfect fit for our Stanchion to Stanchion Mount system for use on board a sailboat, because with the narrow width of the panel, the panel does not encroach on the boats valuable real estate. The SL-090KC panel is a "Kyocera KC 85" clone, designed to be a drop-in replacement, for the popular, but discontinued Kyocera KC 85 watt solar panel.